Already big in China, sales of motor-assisted cycles elsewhere may double by 2025 as battery costs fall. The popularity of bike-sharing schemes could spark mass adoption in cities, where e-bikes can be an appealing alternative to autos. No wonder Uber just bought its way in. 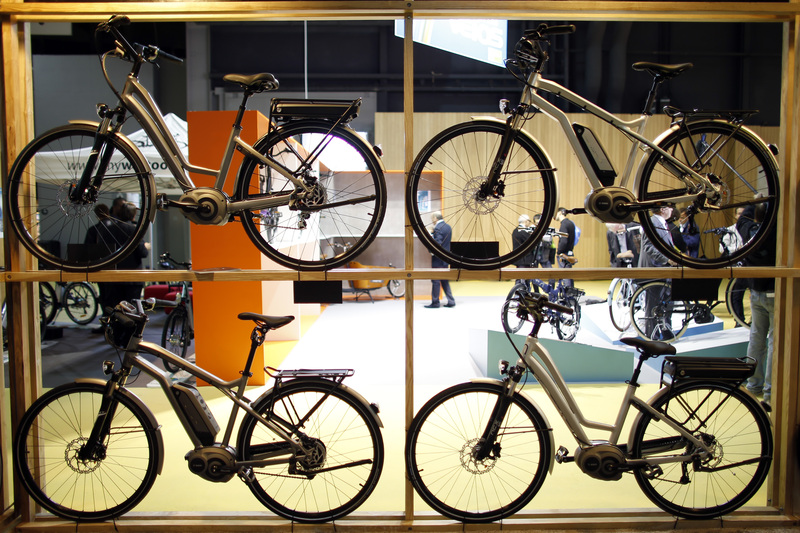 Electric bikes made by French company Moustache displayed during the Cycle Show 2013 in Paris September 13, 2013. Uber said on April 9 that it was acquiring Jump Bikes, an electric, dockless bike-sharing service that the ride-hailing company had already been working with in San Francisco. Jump also operates in Washington, D.C., and has plans to expand to other cities. The companies did not disclose the price, though news outlet TechCrunch put it at around $200 million. On April 3, New York City legalized electric power-assisted bikes, provided the motor does not exceed 20 miles per hour. A City of London report in February said that car and taxi traffic had fallen 59 percent since 1999, while bike usage rose 292 percent. Bicycles now are the dominant vehicle in the City.